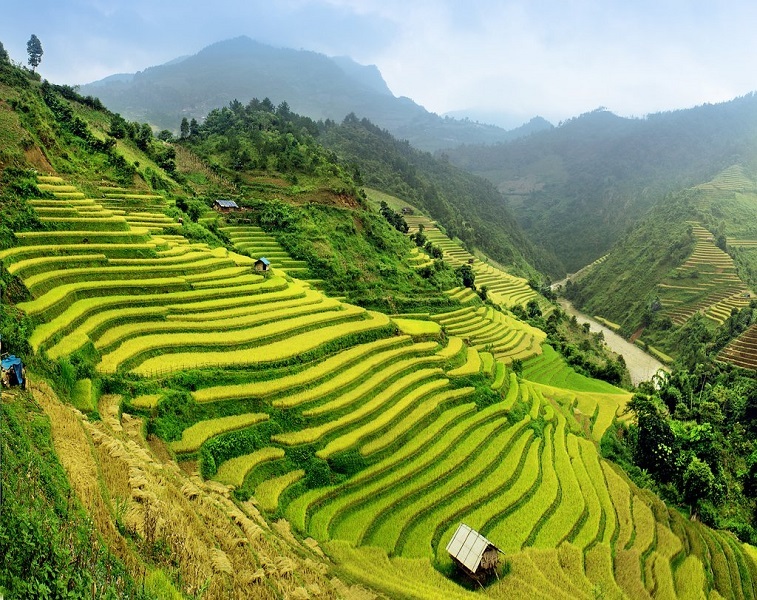 This off-the-beaten path excursion allows you to discover the beautiful mountain scenery of Mu Cang Chai region, now called "the photography route" and "paradise of rice terraces". You will undoubtedly have great moments during your excursion with mountainous landscapes, rice terraced fields, rocky slopes ... 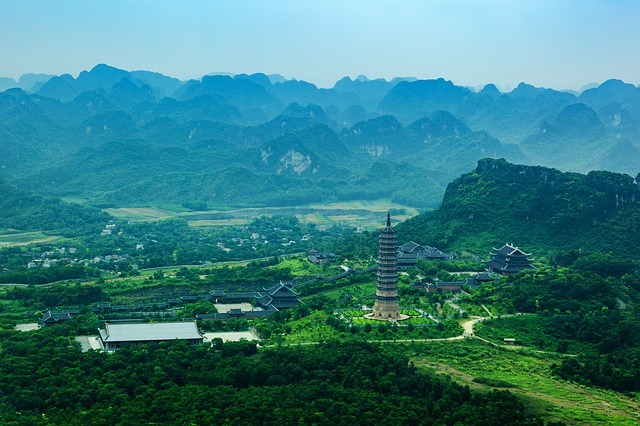 This is not only a discovery of beautiful landscapes but also experience with the culture of ethnic minorities. - Morning: Departure from Hanoi to Nghia Lo (Yen Bai province). Along the way, you visit tea fields in Thanh Son. Then stop at Thu Cuc to visit villages of the Muong living by the roadside. - After lunch, continue to Nghia Lo. 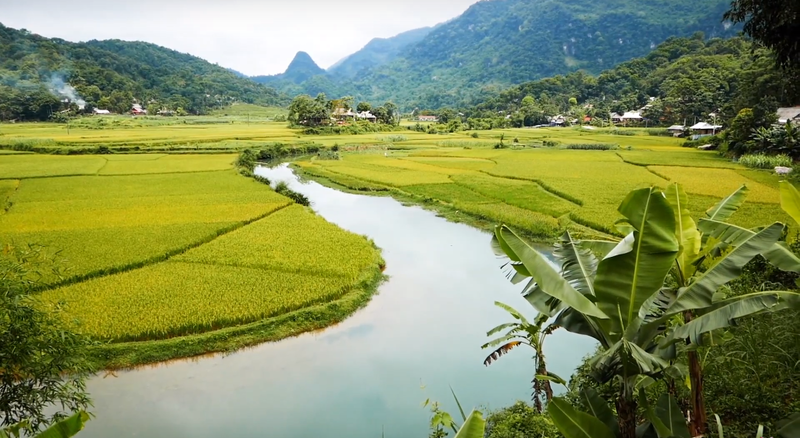 Nghia Lo is a town covered by Muong Lo rice field, which is the second largest rice granary in North West Vietnam and also the capital of the Thai. Visit a village of the Thai ethnic group; meet local people and find more about customs and culture. - Dinner and overnight in a stilthouse in Nghia Lo. - Breakfast at homestay. Departure for Tu Le, through the Hoang Lien Son mountain range where has the highest mountain of Indochina. 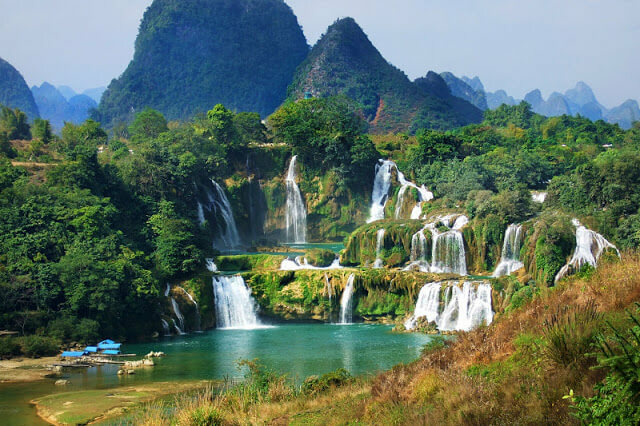 - Stop at the valley of Tu Le to begin trekking. You will cross rice terraces and suspension bridges to reach villages of the Thai and Mong. In traditional clothes, they will welcome you withenthusiasm. - Have lunch at Tu Le. 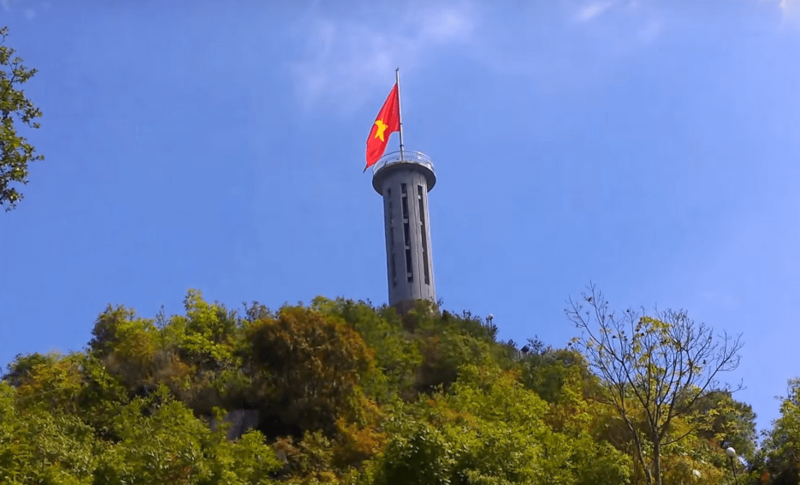 - You will reach Khau Pha pass (celestial horn). It is an ideal place to take the most beautiful photosof the rice terraced fields. 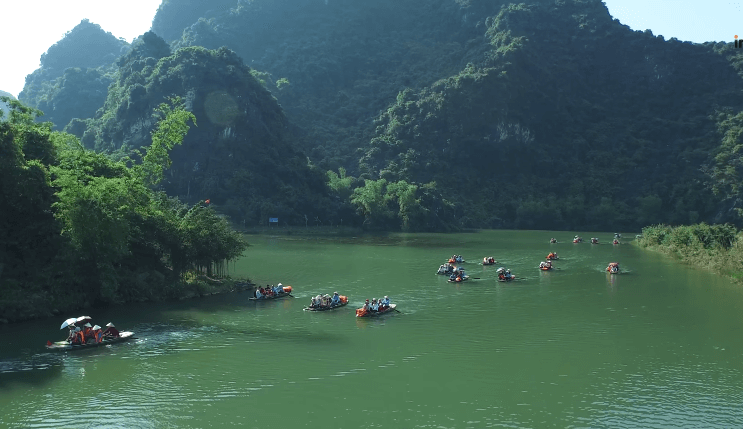 Mu Cang Chai is considered as an untouched paradise and one of the best places in Vietnam to take stunning landscape photos. 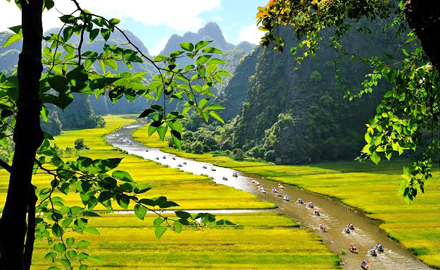 You then take a 2 or 3-hour trekking to visit the most beautiful rice terraced fields like La Pan Tan, Che Cu Nha, Che Xu Phinh. 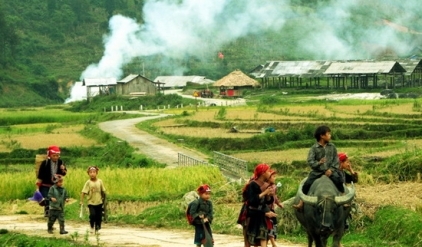 -Dining and overnight at Thai Homestay in Mu Cang Chai. -Arrived in Hanoi around 17:00. End of the trip. The program may be changed due to local weather conditions or other unexpected reasons. Prices may change if the program changes. Museums in Vietnam are closed every Monday. 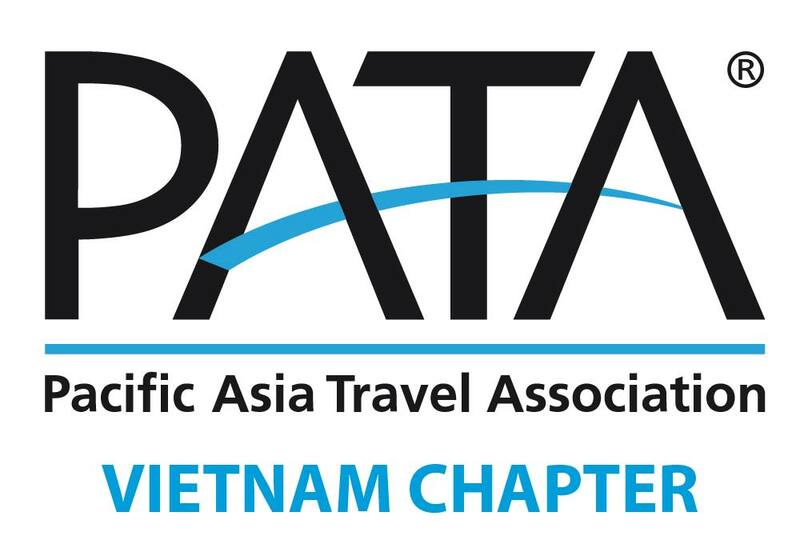 Programs do not include early check-in or late check-out for hotels. In Vietnam, rooms are normally available from 14:00 and must be vacated by 12:00. For an early availability or a late release, it will then be necessary to make the request with additional expenses.